Few cities in Europe have had a more eventful and turbulent history than Berlin, a fact that is reflected in its highly varied architecture. However, while many older buildings have survived all kinds of events, the modern city has a strongly contemporary feel and visitors to the Das Stue hotel will be able to sample this for themselves. Combining timeless opulence with modern style, this is a place where the best of 21st century art and decor can be enjoyed without losing any of the splendour that would be associated with such a luxury establishment. The decor is a masterpiece produced by interior designer Patricia Urquiola, whose innovative use of leather, copper, wood flooring and an array of animal-themed sculptures has created a new look combining curiosity, austerity and modernity. All this offers a distinct break from the norm, but that alone is not the whole reason to stay at the Das Stue. The establishment offers a series of compelling special offers. These include deals for city breaks, a popular way of spending time in this fascinating city with its edgy cultural vibe and traces of an immensely varied past. Another great outing is the Audi Experience. This special offer provides chance to enjoy the training experience on the circuit at Gross Dolln, which is about 80 km north of Berlin in the state of Brandenburg. While some may want to hurtle around the racetrack, others may want to spend rather more time in their rooms. The mini-moons on offer from the hotel provide great deals for those who have just got married, but have limited time for a honeymoon. This includes two nights with breakfast, plus champagne, chocolates and a couples massage. The hotel comes with other outstanding modern facilities too. There is a pool and sauna, along with a spa featuring exclusively organic treatments and traditional Chinese medical techniques. 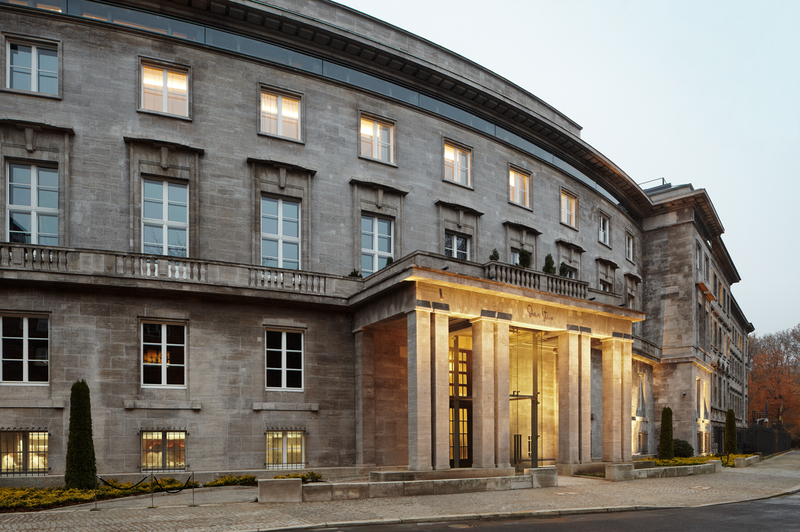 With a stylish restaurant and a bar described, this hotel has been described by Forbes as being the coolest in Berlin – and that is against some formidable competition – the Das Stue hotel offers a wonderful combination of modernity, luxury and exciting surprises.